The Kyäni PayGate is not a unilevel, binary, forced matrix, or stair-step breakaway—it is truly unique – and separates Kyani as offering the best MLM compensation plan. 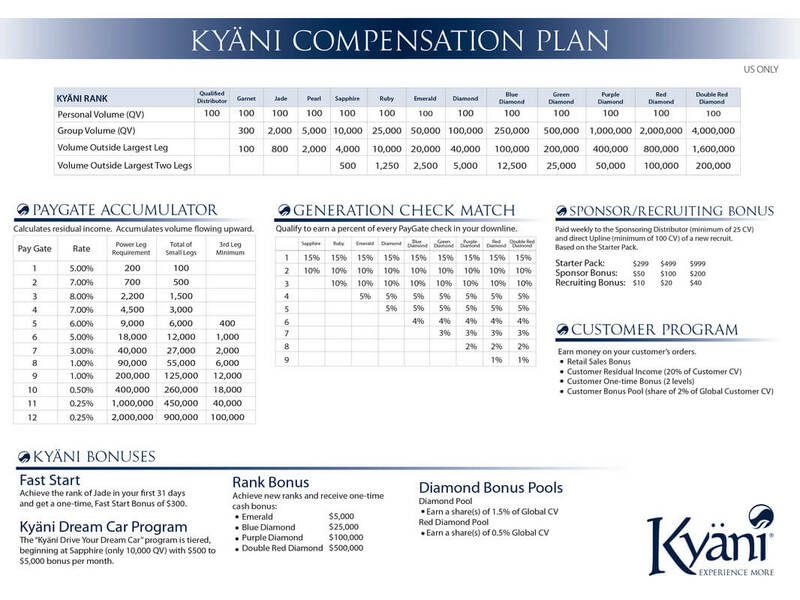 Out of the top MLM compensation plans Kyani is revolutionizing how MLM compensation plans work and it is transforming how the major players in other top paying MLM companies are approaching the business. 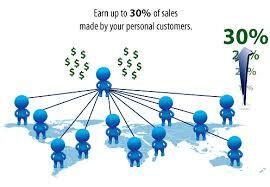 By becoming a Distributor, you are paid up to 20-30% commissions on your customers’ purchases. Distributors with customer CV of 500 or greater qualify for the customer bonus pool. Calculates commissions multiple times in each of your legs allowing you multiple payouts on the same volume for the Kyani’s Best Network Marketing Compensation Plan! 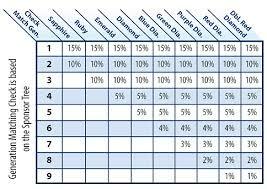 Earn check matching percentages on up to nine generations of Distributors in your sponsorship tree! A truly incredible example of the best network marketing compensation plan in the industry! 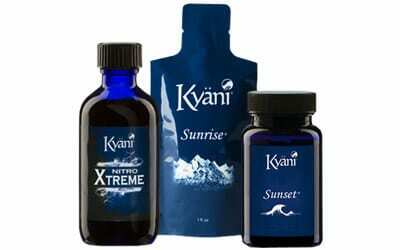 This is definitely a distinguishing factor that separates Kyani from many other direct selling companies. Kyäni also rewards you with rank bonuses, incentive trips as well as Kyäni’s Drive Your Dream Car program. As it stands, Kyani offers the best network marketing compensation plan along with life-changing products that are truly exceptional! If you have any questions regarding the Kyani products or joining Kyani, then just complete the Contact form and we will respond ASAP.